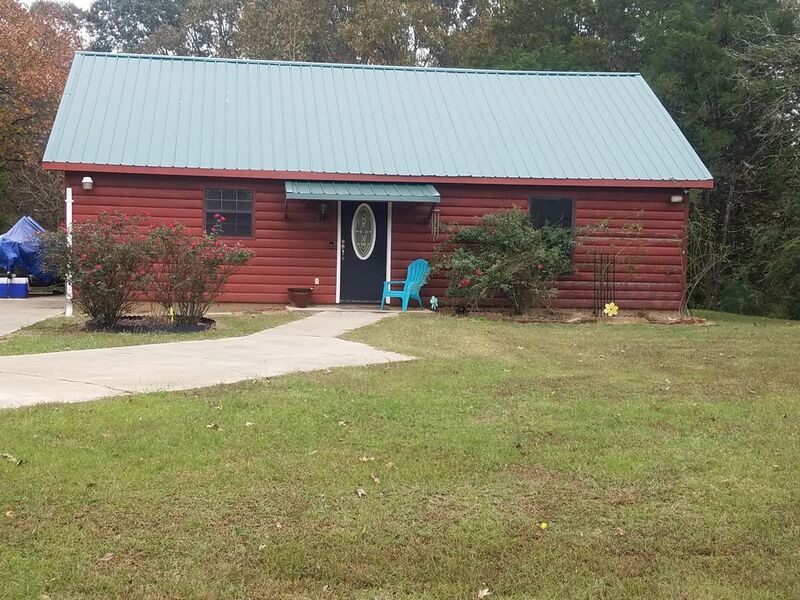 1100 square foot Cabin located near Enid lake on 2 acres. Open floor plan with 2 Queen beds, 1 Bath. Large screened in porch. Wifi. Direct TV. Sleeps 4 but room for air mattresses if needed. No smoking. Kids stay free. Pets considered. Plenty of room for parking. Catfish restaurant located nearby. Water Valley Crawdad Hole 20 minutes away. 30 minutes from Batesville and Grenada. 40 minutes from Ole Miss. Just over an hour away from Memphis. I'm happy to open this cabin up to guest's and I hope you enjoy it as much as I do. As a kid, we've always had our family reunions at Enid Lake and we still do. I enjoy fishing and boating.. . And I thought this was a great opportunity to enjoy the outdoors and wind down from every day life. Some of the best crappie fishing around! Dryer makes a noise but is operational. Gas. Pilot will need to be turned on and please turn off when leaving. Standard coffee maker. Filters available. Unavailable. Extra paper towels available for use. Feel free to use condiments in refrigerator. Movies saved on DVR in LR. Please don't delete. Mallard Point located at Sardis. Sardis and Grenada Lake are both 30 minutes away. Roomy cabin, more than we could ask for. Very rustic, roomy cabin. Very nice screened in back porch. Wide open yard butted up against woods. Just love it.